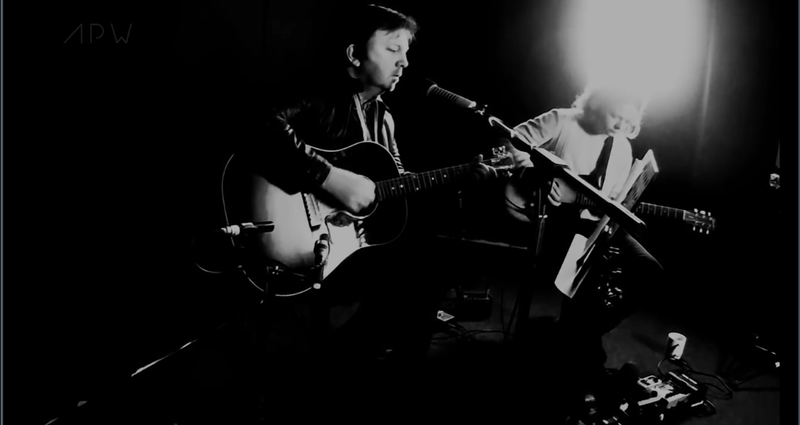 NEW LIVE ACOUSTIC SESSION, INCLUDING TWO CLASSIC MANSUN TRACKS! APW, the Audio and Production Workshop, who specialise in live sessions and rig reviews, have released a new live session in which former Mansun frontman, Paul Draper, performs three tracks accompanied by his guitar player, Ben Sink. The APW video opens with the classic Mansun track ‘Wide Open Space‘ and closes with ‘Friends Make The Worst Enemies‘ from Paul’s solo album ‘Spooky Action’ and another Mansun classic from ‘Attack Of The Grey Lantern’, ‘Disgusting‘ .